How do you start something new? Whether it’s beginning an exercise program, getting going with a task you want to complete, or creating a new business or product from scratch — how do you get started? It’s one of the most intimidating things. It’s the lack of starting that kills most tasks and projects. Procrastination is putting off the start. Your new venture gets put off because the start is too hard. When I started Zen Habits, I had no idea how to start. I looked at other blogs and it was intimidating what they’d accomplished: not only thousands of readers but hundreds of articles, a killer blog design, their own domain name, all kinds of services and ebooks and T-shirts and other things going on. I couldn’t do all that — I had a job (two actually) and a family with six kids. So I skipped it all and did one thing: I chose a random name that felt right, and created a free account on blogger. That was incredibly easy, and I felt great. Then I did one more thing: I did a short post reflecting on some things I’d been doing. Basically just a journal entry. I was out in the world for the first time! This was my start. It wasn’t hard — in fact, so easy I couldn’t refuse to start. Eventually I did all the things everyone else did, but that came later. At the start, I did just one thing, and then another. If you read my Un-Procrastination ebook, you know how easy it was to read. Short chapters, easy reading, you could be done in a short amount of time. I purposely made it easy, so you wouldn’t procrastinate. Your Un-Procrastination ebook sounds interesting. and give you bad advise... that they think is correct but they dont have the knowledge of experts!! Start a habit... What if it's a bad one? I'm good with those. But I can train myself to change. It seems that being on here, I have found out a lot about myself and that I need to make a few (a lot of) changes to be a better person! It's not the starting, it's the keeping going that's the hard bit! 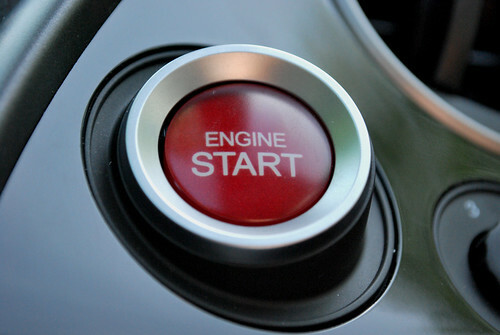 Is it better to start lots of things, or start less, but have more energy to keep them going perhaps? Perhaps before we do some starting we should weed out a few of the things we started but arent going anywhere, the time wasters. Weed the garden before planting something beautiful....! Personally, I quite like finishing things that other people have started. I guess I might be a bit lazy but it's very satisfying finishing off something that someone else has given up on.